Second in the series, Lunt introduces the 2012 Lunt Jeweled Snowflake Ball. 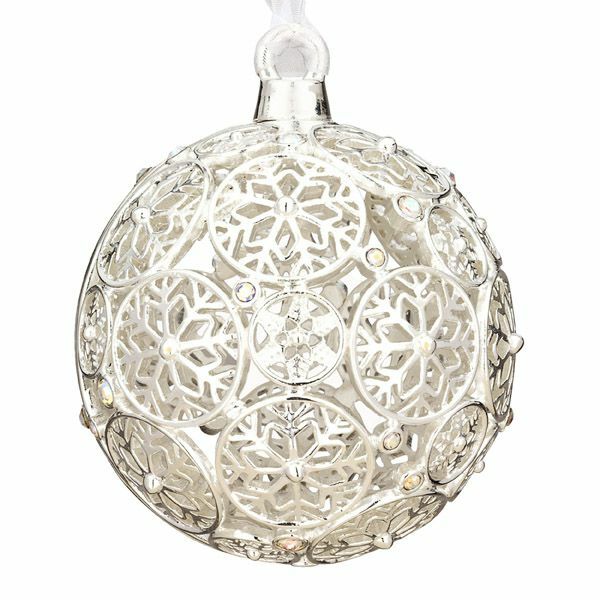 Crafted in New England and featuring hand set crystal clear Swarovski Elements, this silverplated sphere will shimmer and shine on the tree. 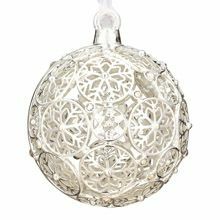 Each Snowflake Ball is elegantly packaged in a silvery box for safekeeping and includes a year/edition marked charm and a white organza ribbon for hanging. Made in the USA. Measures 2-1/4" in diameter. Engraving is not available on this item. Purchase 6 or more Christmas ornaments, and take 10% off each ornament!